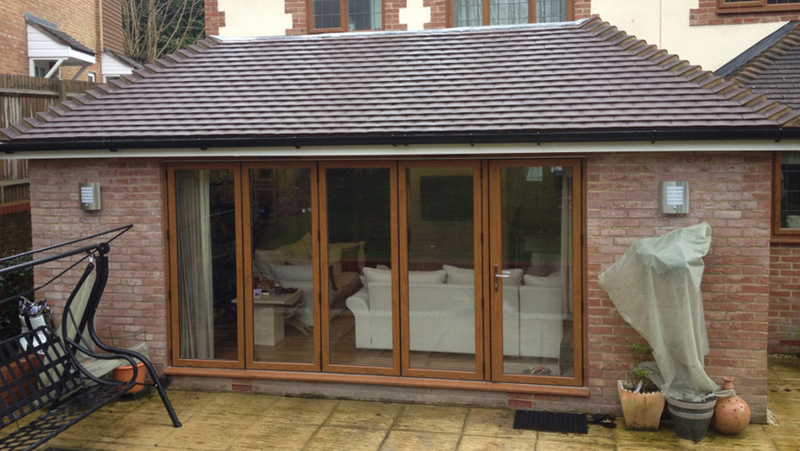 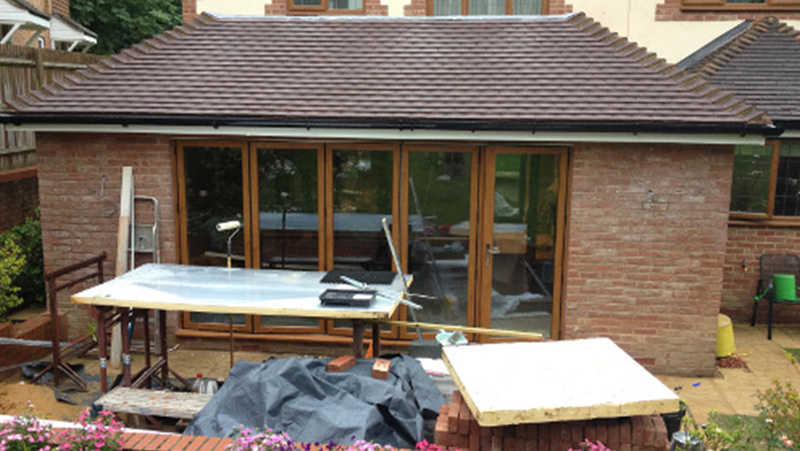 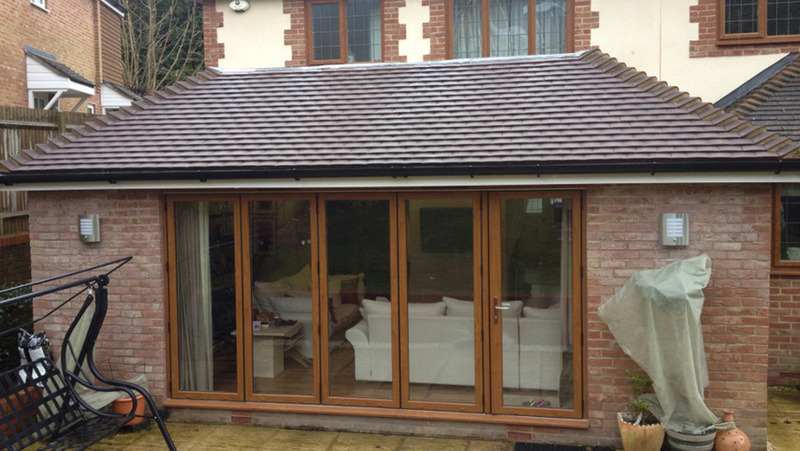 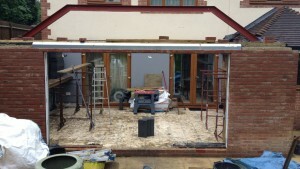 This single storey spacious living room extension was formerly a conservatory. Leaving some of the existing brick work dwarf walls in place we built up to form the new roof construction. 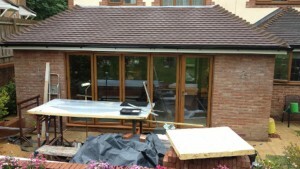 This property has 5m wide aluminium bi fold doors supplied in a wood effect to keep in character with the original house. 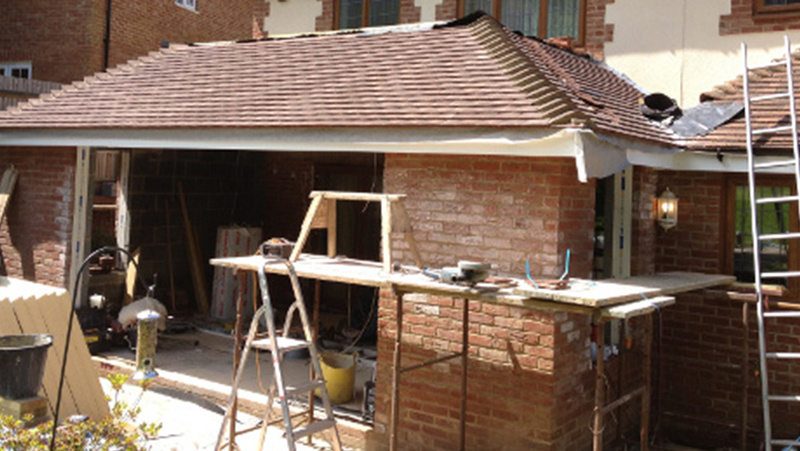 Inside we kept a vaulted ceiling creating the feeling of more space.